The Missing Link Tee Design Review. The Missing Link tee design is for the evolutionists that enjoy Donkey Kong and The Legend Of Zelda video games. The concept is funny but quite obvious. It works one multiple levels. First, Donkey Kong is implied as an early human (Hylian) ancestor hence "The Missing Link". 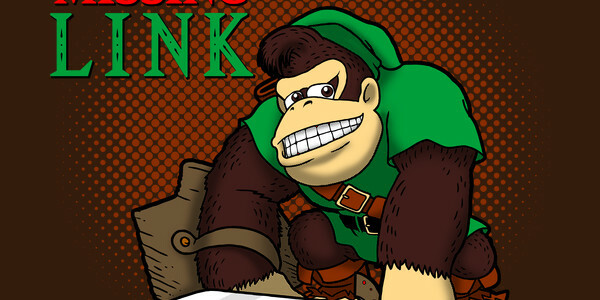 Donkey Kong is dressed as Link from the Legend of Zelda. And Link Himself is missing from the design. Video game puns are fun. As for the artwork, it is colored well and appropriately. The shading is alright but not perfect the drop shadow is good. The layout is pleasing to the eye. The word "Link" being Green may or may not be overkill depending on how you look at it. I think it works as it is complementary and it helps to emphasize the Hyrulian aspect of the design. 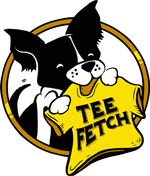 The goofy smirk on Donkey's face is worth purchasing this tee. The Missing Link is for all Nintendo fans regardless of age. The Missing Link Tee Design by Boggs Nicolas. Dawn of Gaming Tee Review. The Dawn of Gaming tee design is for the Donkey Kong fans that dig science fiction movies such as 2001: a Space Odyssey. The concept replaces the man apes and monolith of 2001: A Space Odyssey with Donkey Kong and an original NES controller. Which is a great idea but the fact that Donkey Kong is wearing his trademark tie and that there are barrels around implies that he is already familiar with some sort of technology. This defeats the point of the monolith aspect as it is supposed to be the first technology of any kind that is witnessed by the man apes. Then again, how else are people supposed to know that it is Donkey Kong right? It is still cool regardless and most people won't analyze the Hell out of the design like I do, so go for it. As for the artwork, it is professional through and through. Good coloring and shading. The background as awesome as it is with the man apes and all is grayed out providing more focus to Donkey Kong and the controller which are in color. This Dawn of Gaming tee will make a nice gift for the Nintendo enthusiasts as well as the Stanley Kubrick and Arthur C. Clarke fans. This is a good gamer and Sci-Fi shirt that fits in anywhere such as Comic-Con or to rock concerts. Dawn of Gaming Tee Design by Naolito.